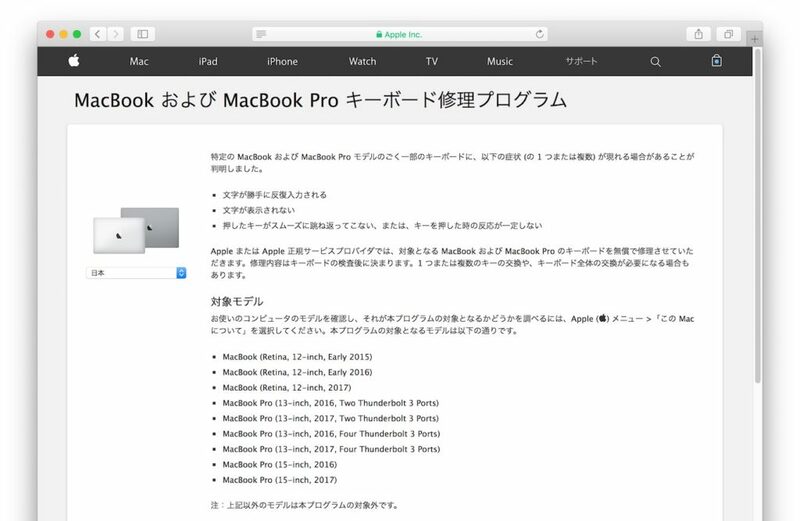 既存のMacBook Proのキーボードを交換しただけではAppleのバタフライ構造キーボード問題の根本的な解決にはならない？ | AAPL Ch. 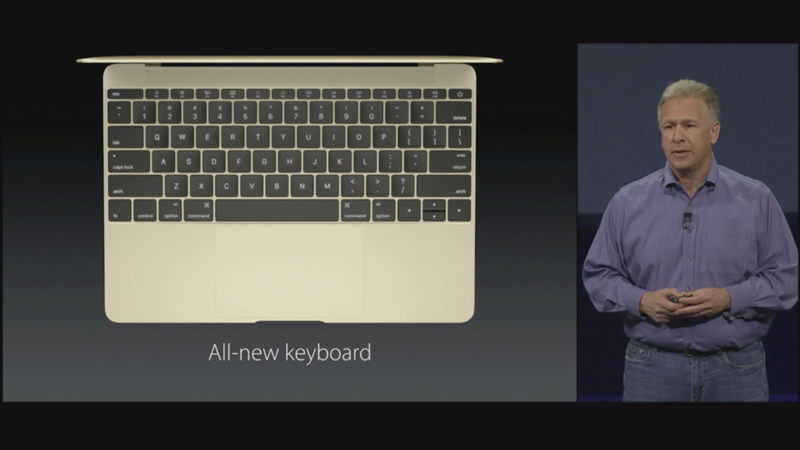 The basic flaw is that these ultra-thin keys are easily paralyzed by particulate matter. Dust can block the keycap from pressing the switch, or disable the return mechanism. I’ll show you how in a minute. Let’s take a look and see what’s actually going on. We put a keycap under a microscope and injected a grain of sand so you can see how this happens. The grain is in the bottom right corner, and it’s completely blocking the key press action. It’s very challenging to remove it with compressed air. Apple can do better. 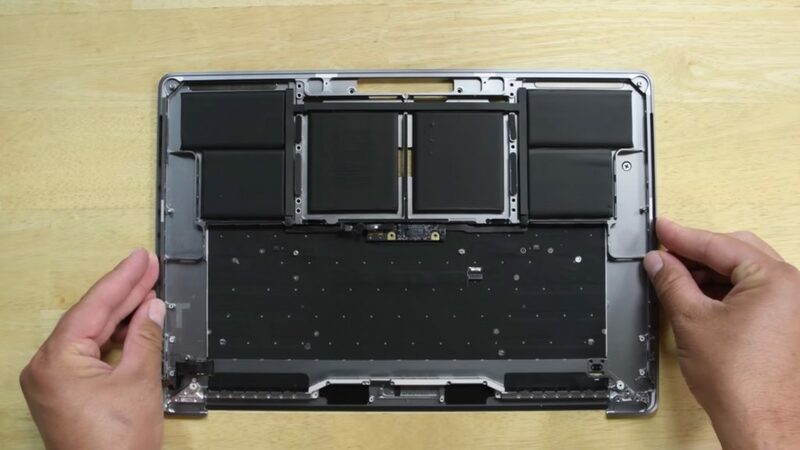 Let’s start with a slightly thicker, more robust keyboard. Butterfly 3.0, we’re waiting for you.